Our creative CV templates for Microsoft Word will give you a professional image that corresponds with the demand of the job you want. Our attractive CV templates for Word are designed to make a positive impression on your potential employer, so that you can receive a call back for that job you always wanted. Your career profile is enhanced by the highlighting of proven capabilities, education proficiency and related experience. Our CV templates Word are designed to impress, because first impressions are critical. An impressive looking CV template can influence the reaction of your employer and his attitude toward you as a candidate for the job. We know you are very busy, so our professional CV templates for Microsoft Word are very well organized, just like you! They come ready to fill in and user-friendly to save you lots of time. All the areas are cleverly organized in columns and you will be able to just type in your information and experience without worrying where you should put text or spaces moving all over the place. In addition, character formatting is already in place, so no need to go make that word bold, colored, or set font size everywhere. All of our creative resume templates Word come with the font included, so your resume will look just like in the pictures. Of course, you’re free to play around and make all the changes you want or use your own font if you’d like! To keep up with the demands of the modern world, a very impressive resume template for Microsoft Word will place you above your competitors. This template will make you stand out from the crowd of applicants competing for the same position. You can rest assured that your resume will sit at the top of the pile. Chances are your recruiter will take a glimpse at your resume and make up his or her mind about you during the first 10-15 seconds. A professional resume template in Microsoft Word will set you far ahead of your competition when you apply for your next job! Download resume templates Microsoft Word and enable yourself to look professional for any job for which you may be interested in applying. You can send applications to multiple companies, for different positions and your resume will still look great for that specific job. Competition is high for jobs across nearly all industries, but a modern resume template will help you stand out from the crowd. With the simple process of downloading a professional resume template for Word, you immediately project yourself into a position which could draw a potential employer to you. You do not want to look like just another employee; you want to look like the employee they have been searching for! When designing our creative resume templates for Microsoft Word, we kept that in mind and wanted you to feel confident when applying for a job. Everyone is very special in his or her own way, but more importantly, everyone should be given a chance to look awesome and compete for the dream position he or she always wanted. An eye-catching resume template for Word is a huge advantage in the very demanding modern world, where the potential employer expects to see your professionalism and capabilities right from your resume. A professional resume template Word is definitely the best way to go if you are seeking to appear as the right candidate and give that great first impression! Our professional CV templates for Microsoft Word will give you a professional image that corresponds with the demand of the job you want. Our attractive CV templates for Word are designed to make a positive impression on your potential employer, so that you can receive a call back for that job you always wanted. Your career profile is enhanced by the highlighting of proven capabilities, education proficiency and related experience. Our CV templates Word are designed to impress, because first impressions are critical. 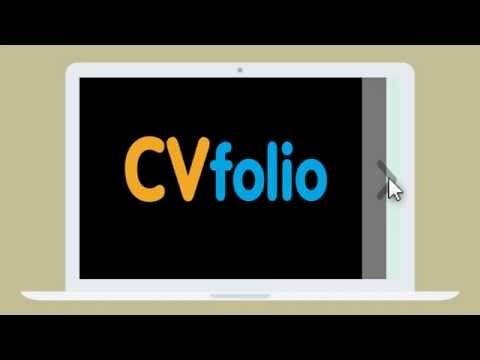 A professional CV template can influence the reaction of your employer and his attitude toward you as a candidate for the job. Of course, one of the main factors when deciding to download resume templates Microsoft Word is to save time. Designing a resume from scratch could be a time-consuming task, involving design skills that not everyone may have, and results may not always come out pleasant. Downloading a modern resume template could be a time and money-saving opportunity, while looking great! Moreover, unlike other services offering to build your resume online, there are no hidden fees. You can pick the CV templates in Microsoft Word of your choice and download them on your computer for a one-time small fee. From that moment on, they are yours for you to edit and keep updating whenever you need. There is no ongoing membership or registration involved, you can download your resume template once and enjoy your new professional appearance forever! I really wanted to thank you for what you’ve created. I had an interview the other day and I must admit the hiring manager was quite impressed. He said a few great things, but it was really amazing when he said: “From the way you’ve organized your CV, I can tell you are a very organized person”. That just blew me away. I mean, I am a professional in my field, but that was the first time I heard something like that. So I guess my resume worked out great. Thank you so much, CVfolio totally rocks! I was looking for a professional resume template because honestly mine wasn’t looking that great. I like to be well presented. I have a good work experience but I wasn’t receiving calls back. Well, your collection looks stunning, I am so glad I found CVfolio. Now I have got a job and will keep my resume for the future.